The Werkstätte Carl Auböck is a fourth-generation Viennese workshop founded in 1900 and re-formed in 1926 when Carl Auböck II returned from the Weimar Bauhaus and took over the metalsmith business of his father, Karl Heinrich Auböck. Influenced by his time at the Bauhaus, Carl II brought functional modernism to Austrian craft, creating the unique visual style of the Werkstätte. 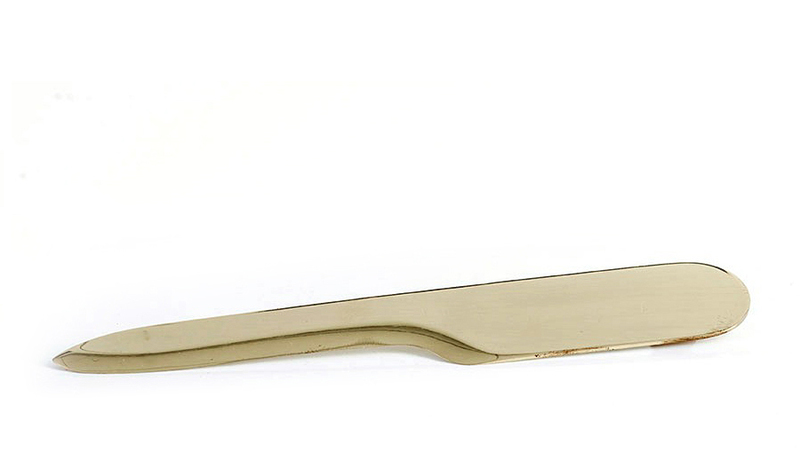 This elegant letter opener is an aesthetic addition to any tabletop.